Although the death penalty is intended to be applied only after exhaustive, rigorous application of the law, it is not infallible, and some people have unjustly paid the ultimate price. The producers of the CNN Original Series DEATH ROW STORIES crisscrossed the country to bring to light eight cases of justice deferred. In some cases, the accused may have been sentenced to die for crimes they didn’t commit – others may be clever killers, but trial errors, their own capacities, or even corruption limited the fair application of the law. In the next two upcoming episodes, the human lives of the convicted weigh in the balance. Desperate detectives search for clues, angry attorneys fight for justice, and victims’ families yearn for answers. Episode four reveals the story of former Mascotte, Florida, police officer James Duckett, who was convicted of the sexual assault and murder of 11-year-old Tessa McAbee. McAbee’s body was found discarded in a central Florida lake. Duckett has always claimed his innocence and spoke for his first television interview after spending more than 25 years on death row, to director and producer, Ivy Meeropol, whose grandparents Ethel and Julius Rosenberg were executed by the federal government. Also for the first time on television, Duckett’s main accuser, Gwen Gurley, discusses her controversial eyewitness testimony that has proven central to Duckett’s case. Among Duckett’s defenders are his former boss, Police Chief Michael Brady; retired Miami homicide detective Marshall Frank, who’s authored numerous crime novels and agreed to investigate Duckett’s case while conducting research for a book; and the Pulitzer Prize-winning former Miami Herald crime reporter and novelist Edna Buchanan. Yet even these seasoned veterans learn there is more to this story that ultimately changed their views on the criminal justice system. In December 1984, a prominent New Orleans businessman was killed outside of his apartment, and police arrested a small-time drug dealer named John Thompson. The office of District Attorney Harry Connick, Sr., sent Thompson to death row. A powerful law firm from the Northeast was brought in for Thompson’s appeals, only to discover they are out of their league in The Big Easy. The firm hires Elisa Abolafia, a local private investigator, who knows “where the bodies are buried in this town.” Three weeks before Thompson is to be put to death, Abolafia surreptitiously discovers evidence that was covered up by New Orleans officials to give Thompson a fighting chance, and eventually, his day before the U.S. Supreme Court. “Rough Justice in the Big Easy” is produced and directed by Kenneth Levis. DEATH ROW STORIES airs Sundays at 9:00pm ET and PT. 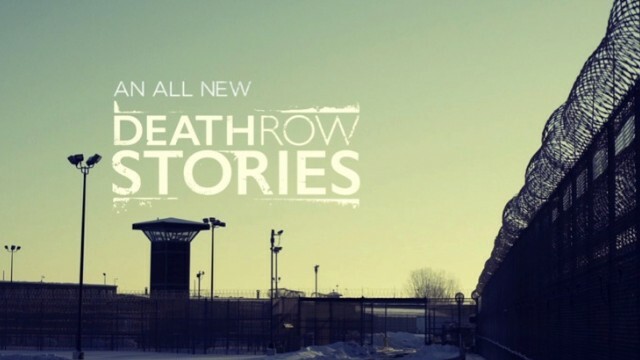 Viewers can connect with the series producers and participants during each broadcast via social media by using #DeathRowStories and following @CNNOrigSeries. DEATH ROW STORIES is executive produced by Academy® Award-winner Alex Gibney of Jigsaw Productions, together with Academy® Award-winner Robert Redford and Laura Michalchyshyn of Sundance Productions; Academy® Award-winning actress Susan Sarandon narrates. Each episode of this 8-part series explores the fallibility in the application of the ultimate criminal penalty: capital punishment.